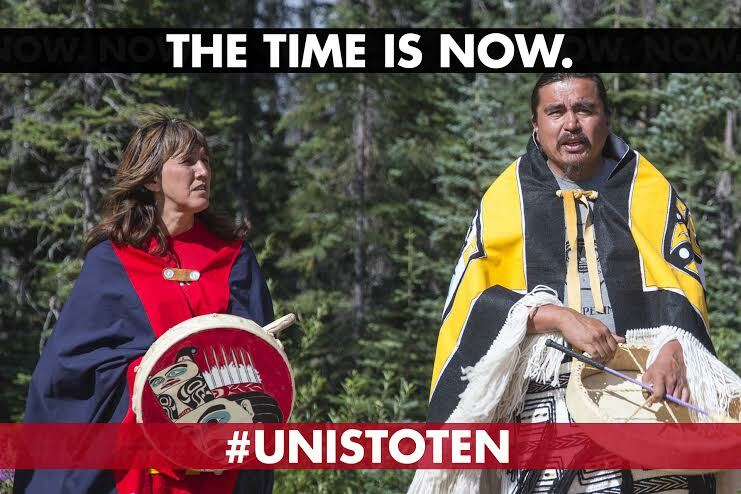 Unfortunately, TransCanada has decided that the best time to begin confrontations with the Unist’ot’en is while we are facing an ongoing family crisis. Freda’s partner Smogelgem’s mother is currently in home palliative care. In the past, oil and gas has escalated their efforts to push into our lands when we are enduring family crises. Enbridge and TransCanada’s most aggressive efforts to enter our lands were made when Freda’s brother and father had just passed away. This encroachment on our territories is not only extremely disrespectful but brazenly illegal. We are the plaintiffs of the Delgamuukw-Gisdaywa Supreme Court Case, and we have proven that we have never given up title to our lands. We are the decision makers on our land. Wet’suwet’en law is our law. COME VISIT OUR CAMP Come yourself or organize a caravan. You must fill out the registration here. DONATE Increased supporters create increased costs. This is the official donation site.